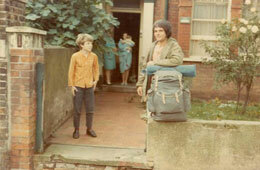 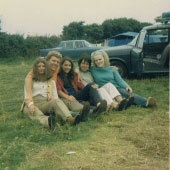 "A younger Mike (with rucksack) in August 1971 preparing to set out on the journey that would bring him to Hong Kong in Late December 1972." 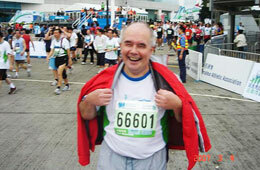 "The pain of Mike’s first half marathon"
"and the joy of success"
"The pain makes a comeback." 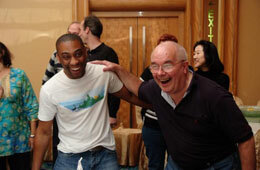 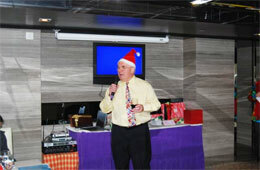 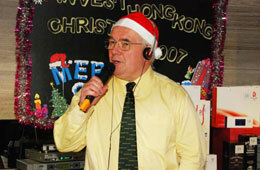 An InvestHK tradition is to humiliate the DG at the annual staff Christmas party.. 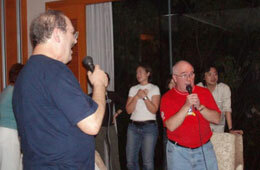 The DG gets his revenge by singing. 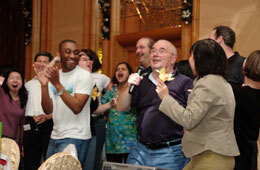 The karaoke session of the annual meeting is always popular. 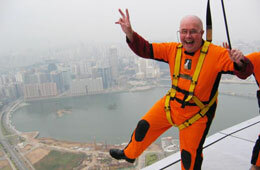 Mike on the walkway round the Macao Tower. 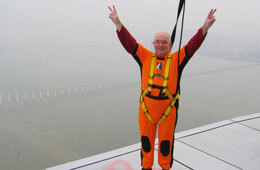 Bungee opportunity politely declined. 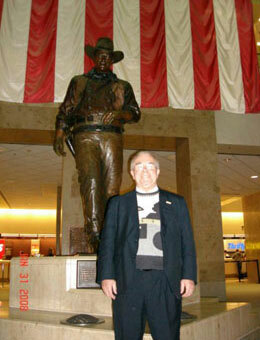 At college, Mike was co-founder and Deputy Sheriff of the John Wayne Appreciation Society. 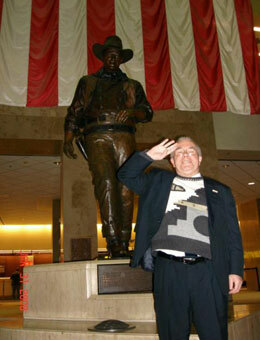 A last salute to “The Duke” at Orange County’s John Wayne airport. 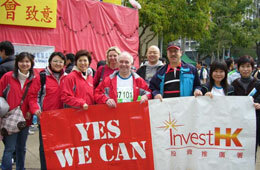 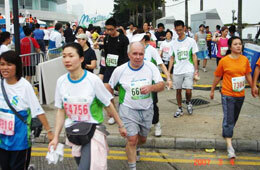 Staff participation in the HK Marathon became a tradition during Mike’s tenure. 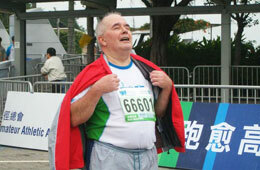 Who could bear a whole year of the old man boasting that if had done it, why couldn’t people half his age. 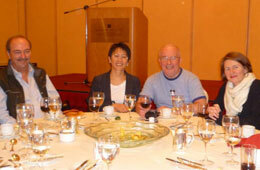 With some of the overseas representatives at the annual meeting dinner. 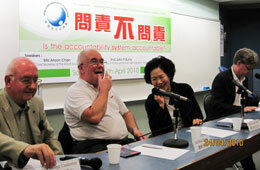 George prepares to moderate, Mike, Anson and John to speak. 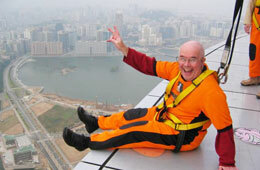 Time for a serious point. 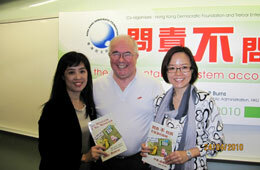 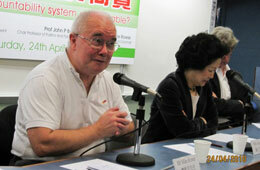 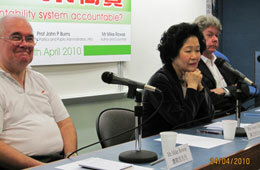 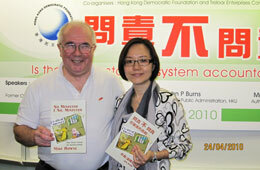 The author with translator Selina Li. 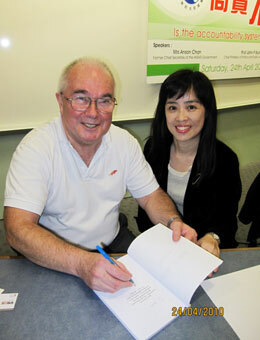 Signing a copy for Susan.